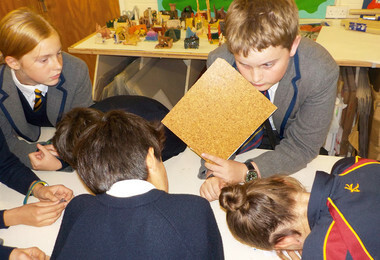 Upper Third pupils were busy on the evening of Thursday 18th October as they embarked on their journey to be app inventors. 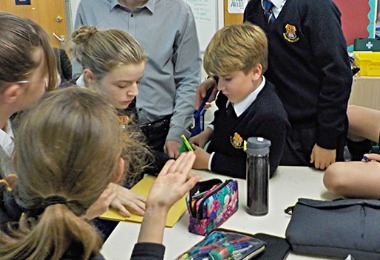 As part of the Amazon Web Services (AWS) Get IT Challenge, each team of pupils started work on their project by choosing a team name, and a secret code name, for their app. They then considered who would be their target audience and ways that their app idea could help them. 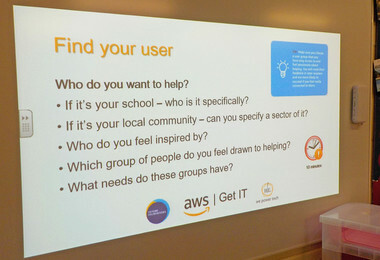 The Get IT programme is designed to inspire more young people, girls especially, to get into IT by inventing an app that can be used to improve or address a social issue impacting their school or local community. The challenge will take place throughout the year with our teams having the opportunity to take part in a boot camp with IT experts at the AWS offices in London. 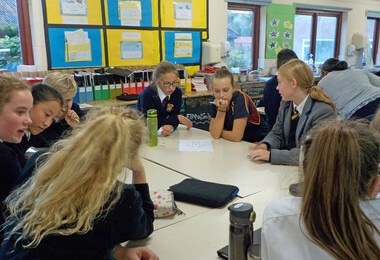 The schools with the best ideas will be invited to present to a panel of industry experts at the AWS Summit in May, with AWS committing to building the winning app idea. If the enthusiasm and creativeness in our first session is anything to go by, we are very optimistic that we have some winning app inventors in the school!